I, like all allergy families, have been watching and reading all the recent #Epipen news for the past month or so, with frustration, anger, and sadness. I have shared articles on my Facebook pages about the news unfolding, however I think there are a lot of factors at play and we are only beginning to reveal all the moving parts that need reform. I am not a financial expert, or a multimillion dollar Business CEO, I am not an expert on government lobbying and legislation to know where the loopholes, riders, deficits are, nor am I an insider who knows where and what the dirty politics were that may have influenced any of the perceived corruption. The real focus should be on the relationship between big pharma and the government, who regulate pricing- Medicaid being the largest customer for all pharma companies! I felt proud of my friend Kelly Rudnicki, who publicly stepped down and away from her role as a brand ambassador. She is the only one -I am aware of, due to my vast network of food allergy bloggers and friends- that had any paid position with #Mylan. I am very angry when I read that there are community members trying to blast other bloggers- food allergy moms like myself – insinuating that we are somehow on Mylan’s payroll- or that Mylan is a sponsor on our blogs, or that we benefit from some elite relationship with them. Guess what? I do not know of a SINGLE blogger who has Mylan as a blog sponsor. They aren’t paying any of us, or giving us stocks in the company, or free epipens FFS! 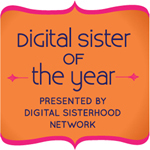 We all started our blogs as ways to help other families on similar journeys. Most of us are not getting rich on our blogs, most of us aren’t making ANY money on our blogs (like myself). I was among a small group of food allergy bloggers who was invited to the Mylan summits;(recaps of first event/3 parts: 1/2/3) and I am not sad or regretful that I went to them all. The discussions and dialogue can NOT happen if we aren’t willing to sit down at the table! I was legally bound to disclose that those were sponsored trips- and I did so on my blog posts about the trips. I was not told what to say, what not to share- or that I had to say anything at all! I learned great information about the #EpisforSchools program, I was pleased that they partnered with Disney parks (who are amazing in their food services for allergy families) to stock epinephrine in the parks. I was proud to help work and testify at our state legislation in support of both the Epinephrine in Schools and the Public Access to Epinephrine legislations that passed in our state. I feel these are common sense measures that should have been in place years ago! I know that having these laws in place makes a safer world for people with allergies- and more so for those who will suddenly have reactions with no previous diagnosis! I can tell you as someone who attended these meetings- that we DID ask about the increasing prices! We did talk about what can be done to help people who can’t afford Epipens, or to help people (like quite a few of us) who had high insurance deductibles or no drug coverage. I have seen parents dropping off one Epipen with the school nurse and keeping one for home. I know of parents that bought a set for school, and don’t own a set for outside of school and home. This idea scares me. This is not OK. Now consider just how crippling it can be if you are adding additional medications- Ritalin, asthma inhalers, steroid inhalers! For example, my childrens medicines – would cost out of pocket- over $1,000.00 per month-(NOT counting the 4-5 sets of epinephrine auto injectors we carry: 2 schools sets, 2 self carry sets, back up set) then add in the Elecare- at $50 can per day, and feeding tube supplies; specialty allergen safe foods,… I would be destitute! I have asked many reps from different drug companies about what becomes of those injectors that are not sold by the 12 month expiration dates- those with less than 9-6 month shelf lives. I think these should be given to people who cant afford them, or are without medical insurance for various reasons- or are just on hard times. Offer an application process like applying for food stamps, if in 6 months times you get insurance, you wont need the service. If you still do, you reapply. I am grateful that when AuviQ had to be recalled that there WAS an alternative available on the market. About 12 years ago there was an Epipen recall and no alternatives! I am excited that AuviQ may be coming back according to recent headlines. I am excited that generic alternatives will likely be coming to market as well. I am grateful for the fact that I have insurance, and emergency medications available. I do think safest practice when it comes to allergies and preparedness is to ALWAYS CARRY 2! At ALL TIMES! Baum, known for offering a $1 substitute for the $750 AIDS drug Daraprim, told CNNMoney on Tuesday that his company Imprimis Pharmaceuticals (IMMY) has been quietly working on a compounded version of EpiPen for months. The company hopes to have it ready by the end of the year. I am watching this story unfold like everyone else. Are the prices too high? Yes. But I don’t think any one person is to blame. I can’t see how one person would be given that kind of control without a board, or team supporting it. I do hope that as a result we see some programs or alternatives that help make sure everyone who needs medication – gets it! Money should not be the deciding factor for life or death. This news story highlights bigger problems, healthcare, insurance, drugs, research, monopolies, FDA, Pharma, government, and so many moving parts that it’s hard to see the forest for the trees. We need alternatives, options, and we need to make sure that people who need medicine to live can get it. 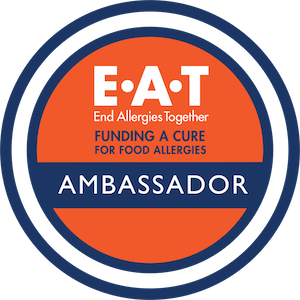 In the spirit of disclosure: I run the Food Allergy Bloggers Conference, an annual event that brings together the food allergy and celiac bloggers and caregivers, with companies that support living with allergies and dietary restrictions. Both Sanofi and Mylan have been sponsors of the past three events. I am reading this in total disbelief. I cannot understand how it costs so much to keep allergy children safe. Do these prices continue into adulthood? My child had severe allergy to dairy and egg (multiple admissions to the emergency room due to accidental exposure as a toddler, to the point we would avoid play groups/other children because of the risk). Thank goodness he is now much improved, and his only allergies are now cashew and pistachio nuts. I feel blessed and so grateful to live in the uk, where all of his medications (asthma inhalers and medications, eczema creams, daily antihistamines and epipens) are all provided by the NHS. For under 16’s there is no cost. His allergy clinic are also running desensitisation programs over the next few years, where hopefully he will be able to have access to this intervention before he reaches adulthood. I pray that I will be able to send him into the big wide world without any food allergy. He will always remain allergic to animals, he will always suffer from eczema, and as an adult he must fund his medications, but for the moment I know I am able to keep my child safe and provide all the medication he needs. I am astounded to read this blog and I hope that a solution is found soon. Good luck to you all.